Over the course of a week in February 2017, Pakistan experienced an outburst of terrorist attacks. On 13 February in Lahore, 13 people were killed and at least 83 were wounded by a suicide bombing which targeted a protest. On 14 February in Quetta, two police officers were killed trying to deactivate a bomb. A day later in Ghalanai, an explosion claimed five lives just outside the tribal headquarters of Mohmand Agency, which is part of the Federally Administered Tribal Areas (FATA) known to provide refuge to extremists. Later that day in Peshawar, a suicide bomber appearing to target the government’s judiciary killed one person, while leaving four judicial employees injured. Finally, on 17 February in Sehwan, a suicide bombing during a religious ceremony at the Lal Shahbaz Qalander Sufi shrine killed approximately 75 people and injured over 200. Terrorist groups claiming responsibility for these attacks include Jamaat-ul-Ahrar or JuA (Lahore and Ghalanai), Lashkar-e-Jhangvi (Quetta), Tehrik-i-Taliban Pakistan or TTP (Peshawar), and an Afghanistan-Pakistan offshoot of ISIS known as ISIS-Khorasan or ISIS-K (Sehwan). This month has already seen the Taliban claim the lives of eight police officers in southern Zabul province in Afghanistan, while ISIS has claimed responsibility for a deadly attack where gunmen infiltrated a military hospital in Kabul and killed over 40 people. This recent string of attacks in Afghanistan and Pakistan is likely to lead to increased tensions between the two countries, as each blames the other for providing sanctuary to terrorists. Shortly after the terror attacks, Pakistan launched a counter-terrorism operation which reportedly carried out strikes across the border in Nangarhar province against perceived terrorist encampments, leaving numerous Afghan civilians displaced from their homes. They have also called for Afghanistan to hand over known terrorists, launched a domestic crackdown during which they targeted and arrested several Afghan refugees, and have closed all border crossings between the two countries in the hopes of preventing terrorists from entering Pakistan. So far, this has only prevented Afghan visitors from returning and stopped vital trade, a move which could increase prices as Afghanistan is a land-locked country which depends on Pakistan for important supplies. It could also increase terrorism in Afghanistan, as NATO shipments for counter-terrorism operations are restricted under the border closure, thereby making their presence less effective (done before in 2010 and 2011). Thus far, Afghanistan has refrained from immediate military retaliation, and instead put forth a complaint to the UN Security Council regarding violations of territorial integrity over the past two months while providing their own list of terrorist camps and operatives for Pakistan to hand over. Consequently, it is only a matter of time before Afghanistan runs out of patience, which may result in a military confrontation between the two states. Indeed, Afghanistan considers Pakistan to be primarily at fault, given Pakistan’s history of producing and sustaining terrorist activity in the region. The dichotomy of ‘good’ and ‘bad’ terrorists has been an instrumental part of Pakistan’s national security policy for years, leading them to covertly support particular terrorist groups deemed essential for the protection of Pakistan’s national interests. For example, Pakistan has provided refuge for the Taliban, and has used offshoots such as the Afghan Taliban and its ally, the Haqqani network, against Afghanistan. They also use Lashkar-e-Taiba (or Jamaat-ud-Dawa) for launching insurgent attacks against India. Pakistan has little incentive to stop supporting these groups, as they keep threats from neighbouring countries at bay. They believe that Afghanistan is a safe haven for anti-Pakistan terrorists like TTP and JuA, and that India sponsors those terrorists in order to create disorder within Pakistan. Consequently, Afghanistan remains wary of Pakistan, and in attempting to develop a relationship with TTP they hope to subvert the current power dynamic and gain the upper-hand. This has resulted in the two countries lobbing accusations against each other with no resolution in sight. These increased tensions will benefit terrorist groups playing the two states off against one another, thereby ensuring their survival in the region. The terrorists’ ability to find sanctuary in neighbouring states, rebrand, or reformulate as a new group, prevails as each state relies on them to reinforce defensive security measures in the hopes that will weaken their opponent. Without strong cooperation on counter-terrorism efforts, terrorist groups will continue to thrive. Indeed, the Taliban has survived approximately 15 years of US-NATO operations, while ISIS-K has survived two years of military operations by Afghan National Security Forces (ANSF). Furthermore, given recent news that ISIS is being driven out of Iraqi strongholds, it’s possible that ISIS-K could provide ISIS a strong enough foothold in the region, most notably in Afghanistan, by providing a source of recruits who desperately require financial support for which ISIS could compensate (especially at a time when Pakistan’s border closures will drive prices up), and civilians who have become disillusioned by weak governance. With the presence of NATO and US military forces in the region, there is a strong incentive to find a resolution to the tensions between Afghanistan and Pakistan in order to prevent the spread of terrorism. However, Pakistan may be hesitant about NATO cooperation considering the current NATO mission in Afghanistan, Resolute Support, which provides training, advice, and assistance to the ANSF. The 2011 Salala incident, in which US-led NATO forces killed 24 Pakistani soldiers, further exacerbated tensions, and led Pakistan to restrict NATO supply routes. Additionally, while Afghanistan and Pakistan have recently agreed to form a joint terror mechanism to fight terrorist groups in the region, Pakistan’s broken promises to Afghanistan that has compounded years of animosity between the two countries, makes Pakistan an unreliable ally in the fight against terrorism. Thus, there remains an urgent need for NATO and the wider international community to ensure stronger relations between Afghanistan and Pakistan. Without their commitment to improve relations and engage in joint counter-terrorism efforts, both countries risk worsening the potential threat of terrorist expansion in the region. 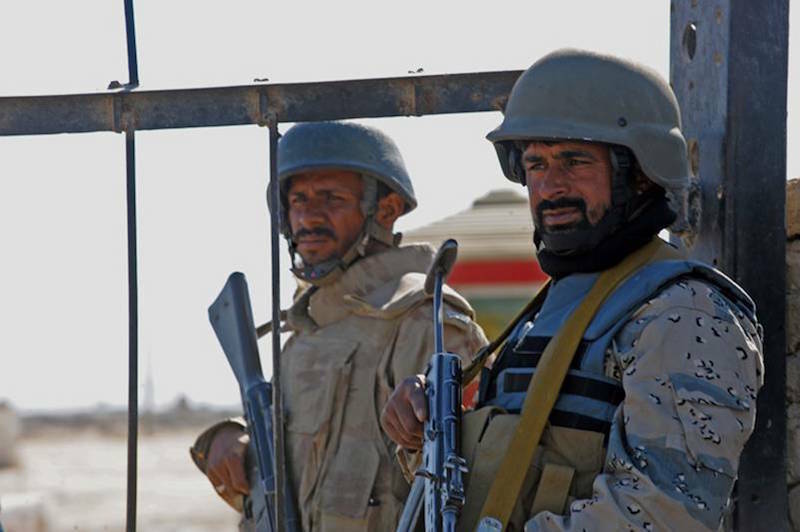 Photo: An Afghan border police officer (right) and a Pakistani soldier (left) stand side-by-side at the Friendship Gate border crossing, Spin Boldak, Afghanistan (2010), by Tech. Sgt. Francisco V. Govea II (U.S. Air Force) via Wikimedia Commons. Listed under Public Domain.